What better way to discover a region than by going to the local markets? 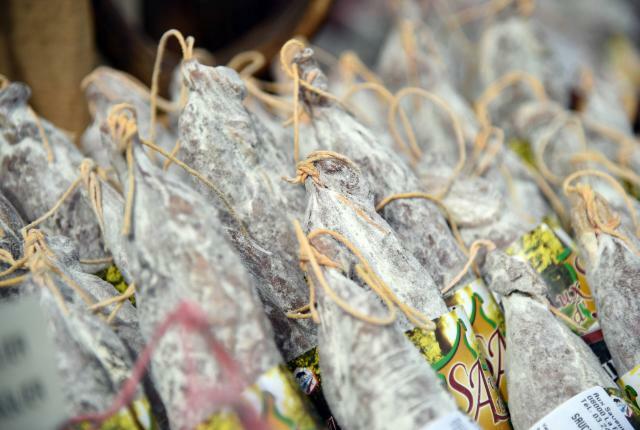 Throughout the year, you can discover the flavours of the Ardennes in the markets of our region. 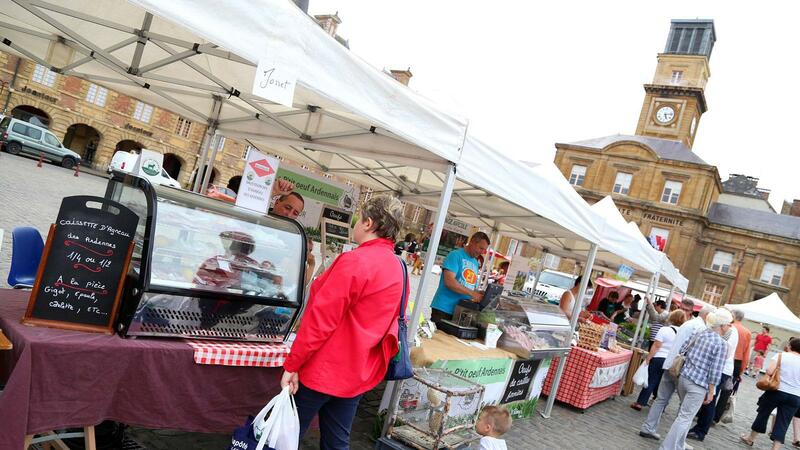 The local producers are regularly at Place Ducale and at the indoor market in Charleville, at Place Alsace Lorraine and at the indoor market in Sedan. Artisans, breeders and local specialities… allow yourself to be charmed by the Ardennes land and the people’s expertise! 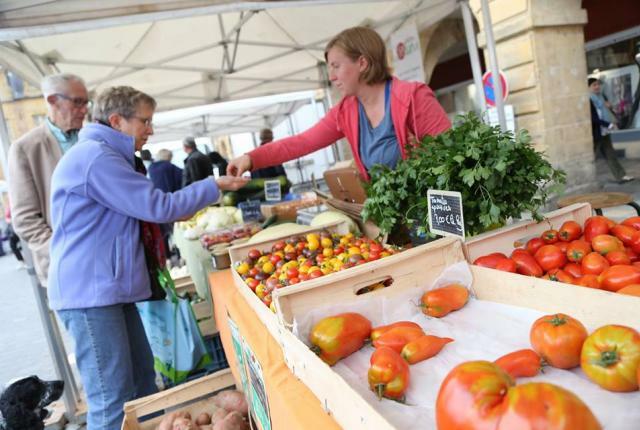 Since 2013, the city of Charleville-Mézières has been the home of the Farmers’ Market. 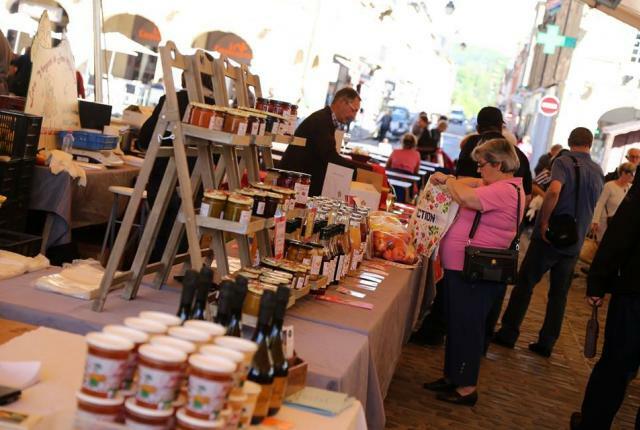 At the unmissable Place Ducale local producers and crafts people will be welcoming in introducing you to the pleasures of their products. Authentic produce are prepared with traditional know-how and sold directly from the producers to the consumer,— how could anyone miss it! 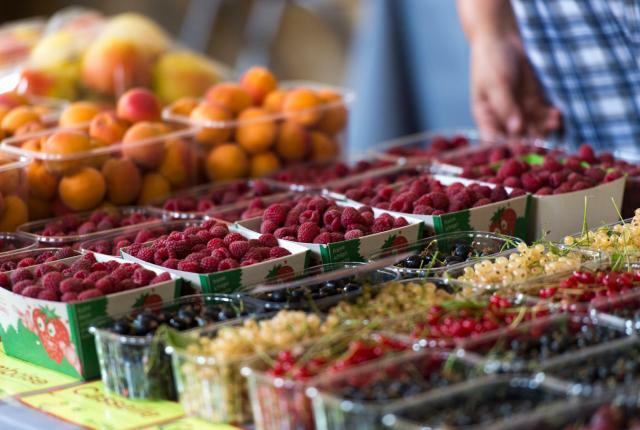 The Farmers’ Market in Charleville-Mézières takes place on the second Friday of each month from March to November, from 15:30 onwards.